Congrats to Avendesorra, who won Bloody Love Spats (Among Wolves #2) by Valentina Heart! Congrats to MarMight, who won Worth Waiting For (FIT Guys #1) by Kim Dare! Congrats to Marie A, who won More Than Everything (Family #3) by Cardeno C! More Than Everything will be released on November 4 by Dreamspinner Press. Belated happy 10th birthday, Chaos kitty! His birthday was September 28… Whoops. Blodeuedd’s giving away a copy of Springtime Pleasures by Sandra Schwab, plus tea and chocolate. Closes November 10. Becky Black on how NaNoWriMo led to her becoming published. Author Lynn Viehl’s offering her how-to book on writing, The Way of the Cheetah, free during NaNoWriMo. Heidi Cullinan on pacing in writing. Looking at the business model of ebook subscription services. “Wellstone’s revenge: How Minnesota Democrats took their state back“. Puck Buddys interviews former Minnesota Vikings’ punter and LGBT advocate, the eloquent Chris Kluwe. Consumerist’s observations on the new list of the richest person in each state. The FAA has relaxed the restrictions on using electronics during takeoff and landing. 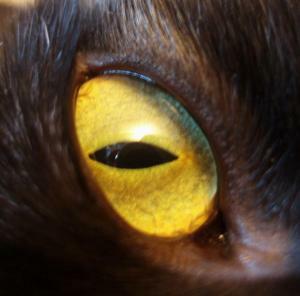 How black cats came to be considered bad luck. Clean your garbage disposal with vinegar and lemon ice cubes. (I use lemon juice instead of cut-up lemons.) Other tips for cleaning with pantry items. Pumpkin ice cream in gingersnap bowls. Supremely chocolate frosted brownies (also dairy-free). Crochet some lip balm cozies. Oh dear. You can buy custom LEGO minifigs on etsy. Star Wars bloopers from the ’70s. Very, very fancy storage bed. Bra that tweets when it’s unhooked. Black cat! African hunting dog and baby! Cats! Cat! 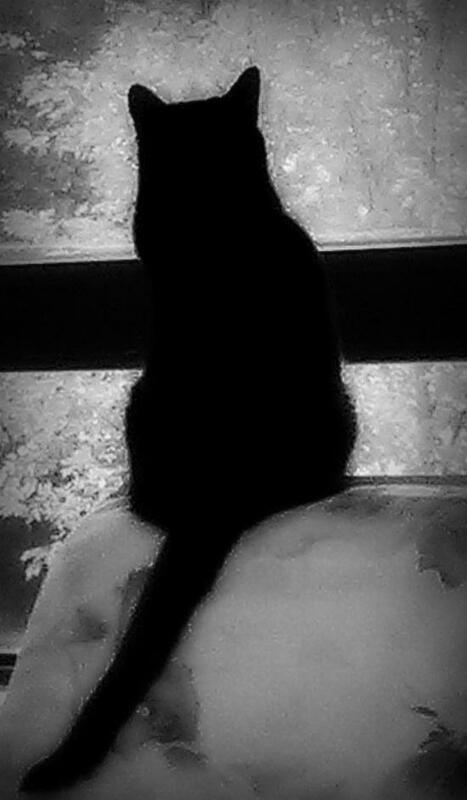 May, who thinks brightly colored leaves blowing by the window are birds. It’s even cuter than it sounds. Posted by Chris on Friday, November 1st, 2013, at 2:00 am, and filed under Linkity linkity link. I love the chittering of kitties. Chris- OK the cake wrecks- I looked, and I am so sorry I did. Once seen cannot be unseen. I miss hearing chittering kitties. Haven’t had a cat that did that for decades. Sigh. I don’t know how Chaos puts up with linkity. Runs to boil some eggs: that avocado idea looks delicious. Even if I don’t pipe it. 1. Erin Morgenstern, author of The Night Circus, participated in NaNoWriMo for a number of years in the 2000s. That book started out that way. B. I just ordered a pound of Neon Espresso from the roaster in Mpls in that linked article. iii. Thanks for the link to that Mother Jones article about how the Dems took MN back. I had it open on my computer but had to reboot and forgot about it. I hope there is something in there to help us take WI back, too. d. The FAA’s new rules came just in time for Matthew, who starts a new job on Wednesday that will involve some air travel. That cat pillow is very Chaos! Happy Belated Birthday, Chaos Kitty!